Kathleen A. Terrazas passed away peacefully in her sleep on June 2, 2018. She was born in Horse Springs, NM to Ricardo T. Armijo and Julia (Carrejo) Armijo on August 19, 1946. 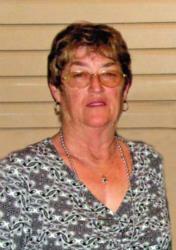 Kathleen was a life-long resident of Sierra County and lived on the family farm in Las Palomas. She worked for the City of T. or C. as the City Clerk for 32 years. 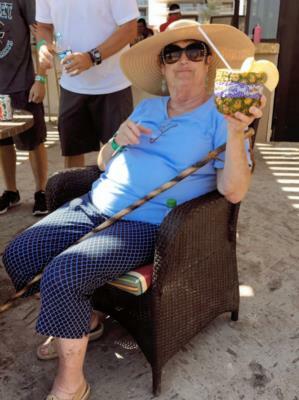 Kathleen enjoyed camping, spending time at the ocean and spending time with her grandchildren. She was preceded in death by her husband of 48 years, Horacio, and her son, Michael, in 2016; and her parents, Ricardo and Julia Armijo. Left to cherish Kathleen’s memories are her sons - Daniel (Charity) Terrazas, Jonathan (Limor) Terrazas; and daughter, Kelley (Nestor) Gonzales. She is also survived by 11 grandchildren- Tyler, Aaron, Makayla, Morgan, Kaylee, Alexis, Kameron, Dominic, Belemey, Xavier and Xander; brother, Walter (Viola) Armijo; numerous nephews, nieces, God children, and cousins; her closest friends, Shella Jiron, Sharon Roberts, Evelyn Renfro, and Paula Edens; and her beloved dog Goldie. Cremation has taken place and a Prayer Vigil will be held on Monday, June 11, 2018, at 6:00 P.M. at Our Lady of Perpetual Help Catholic Church led by Deacon Adam Sanchez. A Memorial Mass will be held on Tuesday, June 12, 2018, at 10:00 A.M. celebrated by Rev. Marcos O. Reyna. Inurnment will follow in Los Palomas Cemetery. Honorary Casket Bearers are Justin Armijo, Cody Powell, James Salas, Gilbert Terrazas Jr., Eddie Garcia, Charles Jiron, Herman Armijo, Walter Armijo, Shawnee Renfro Williams and Beverly Armijo. With deepest sympathy to all her family and friends. I will always remember her smile and friendly attitude. Thoughts and Prayers to the family. My heart hurts for you all. We had many of summers together full of fun and memories, until we meet again my friend and special cousin, RIP Loved you very much! Such a great person, so Thankful for her to be my Godmother. I learned so much from her. God Bless you as you walk through paradise with Horacio and Michael.